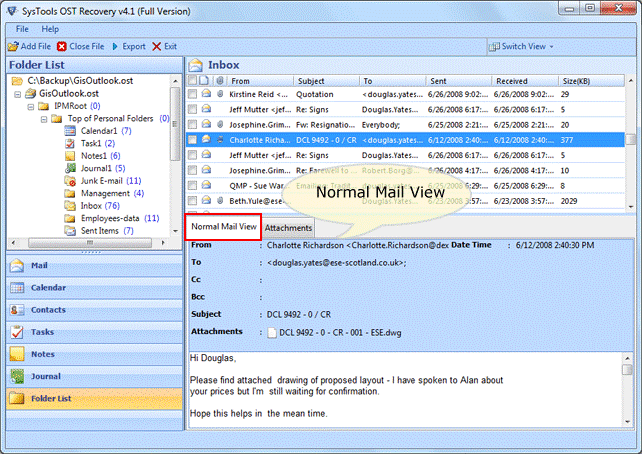 People who work with the Outlook profile may know that Outlook store the information collected from emails, contacts and other category to the PST file. 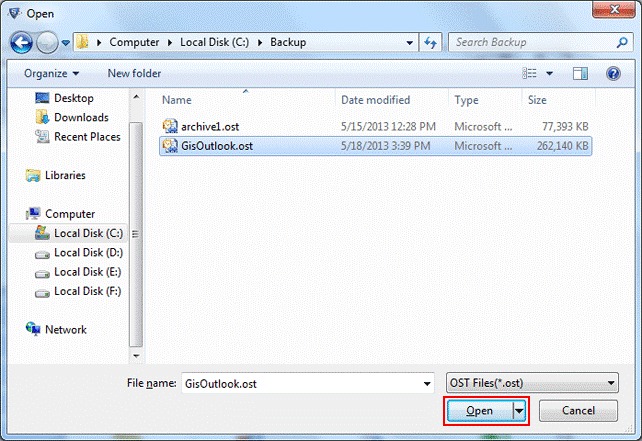 Other than the PST file, Outlook provides OST format to save the information, when Exchange runs offline. OST file aka Offline Storage Table is created when user work with Outlook in offline mode or Outlook Cached Exchange mode. This facility to work offline helps user to utilize the time for work even when deprived of Exchange connection. OST file can be synchronized with the Exchange server once connection is available again. If any issues arise when the OST to Exchange synchronization is in process then it can be assumed that OST file is corrupted. Some of the error messages like “Unable to expand the folder, the set of folders could not be opened. Errors could have been detected in the file xxxx.ost. Quit all mail-enabled applications and then use the Inbox Repair Tool” is displayed to refer the corruption issues. Employing the steps as per instruction may or may not help to recover OST file, thus the perfect method to recover OST file from corruption is to convert OST to PST using SysTools® OST Recovery tool. The software is highly appreciated because of certain cases reported with the OST file such as user cannot convert OST file directly to PST file because of the security issues that comes in between Exchange mailbox, OST and MAPI profile all together. User can neither rename OST file to PST nor open OST file with any other MAPI profile ( for that user have to be logged in to the original MAPI profile). 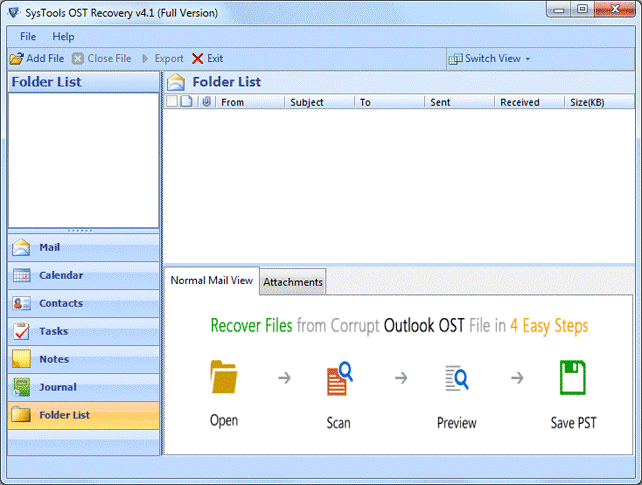 SysTools® OST Recovery tool turns to be a great help for user who faces the trouble in accessing the OST file because the tool works to recover and convert OST to PST even in absence of MS Exchange. How OST Recovery Software Work? 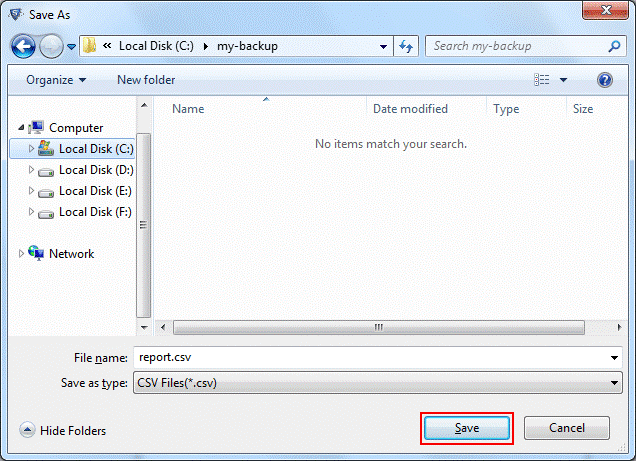 Add OST File – Browse OST file from the location it is stored and Add it to the tool. Scan OST File – Select scanning mode to start OST file scanning to resolve error. Preview OST File – After scanning, get OST file content preview for confirmation. Save Healthy Data – Save data as PST, MSG or EML format on any system location. Split PST File – If PST is large in size, then user have the option to split PST file. Recover OST to PST even when Exchange server faces downtime. Two Scanning Mode- Quick and Advance for OST recovery after corruption also. Preview of OST content as normal email body view and attachment view. Vertical and Horizontal View of OST file to preview content accordingly. For OST file conversion get the mail filter option to customize process. Export OST to EML or to MSG with specific naming options provided. Email properties and other attributes of OST file data retained. 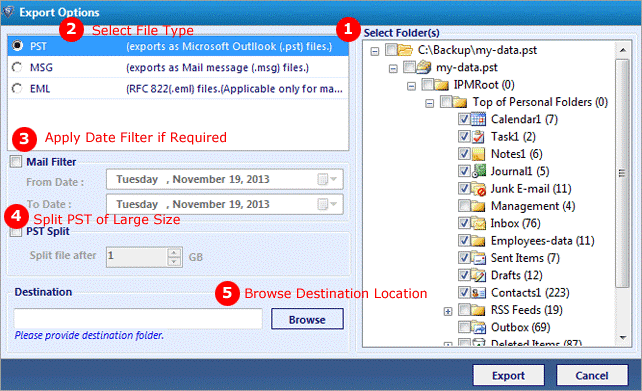 Split PST file, if it is large in size and then manually import it to Outlook profile. SysTools® OST Recovery Version 4.1 – What is New in Updated Version? Speed, Accuracy and User Friendly attributes for safe OST recovery and OST to PST conversion are all available for affordable investment in the new SysTools® OST Recovery version 4.1. 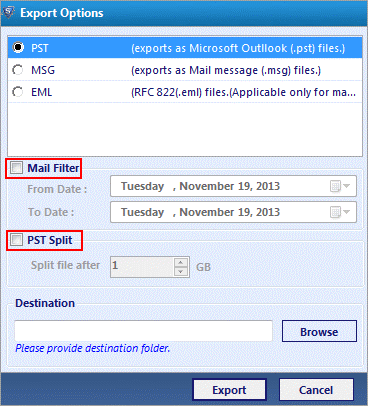 Mail filter is available to customize OST to PST, OST to MSG or OST to EML Conversion. Now most of the error messages related to OST file corruption can be resolved effectively. No matter when and where OST file is created, special edition tool help to recover OST file of any size/version to PST, EML or MSG. 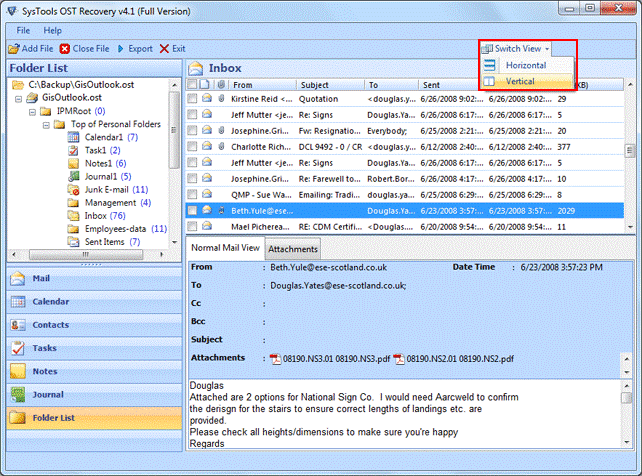 Software UI similar to Outlook make the navigation through the software to recover OST to PST much easier. Get OST file conversion process report in CSV file for the further reference of process concluded. Naming convention option for OST to EML and OST to MSG process with the options as save as subject name or MD5 value etc. To Recover the OST file data from any kind of corruption issues and error messages reported, get SysTools® OST Recovery 4.1 downloaded and installed. SysTools® OST Recovery Software- How It Works? OST file corruption and its related troubles make use in dilemma of what to do next to access OST file stored data. 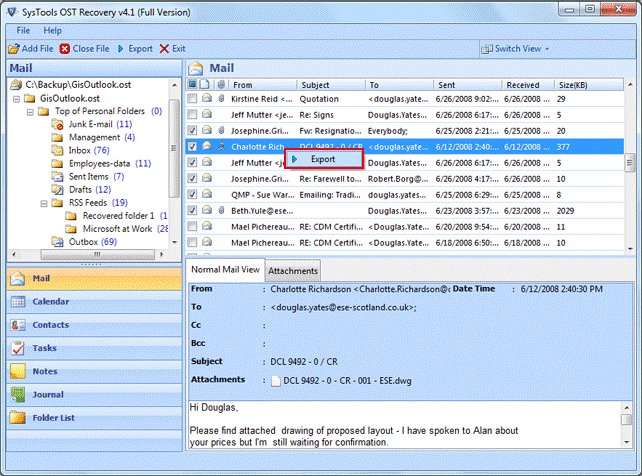 SysTools® OST Recovery software turns to be the perfect answer for the call of how to recover OST file in Outlook PST format. Along with the convert OST to PST, EML or MSG option software provides the provision to split PST, name extracted file accordingly while saving on desired location and many more options to make OST file recovery process a truly successful one. SysTools® OST Recovery software runs on any machine that satisfies the pre-requisites to run the tool like Win OS with Outlook installed without Exchange server connection. Get the software screenshots below to know how it works to recover and convert OST file to PST, EML or MSG format. Step 1 Once software is launched successfully it display the software interface with the first screen that resembles Outlook UI. Click Add file to add OST file to the tool. Step 2 Click on Browse option to add OST file from the location it is available on the machine. Step 3 Browse and locate OST file from the location it is saved and Click Open to add OST file to the tool. Quick Scan – For minor trouble of corruption. Advance Scan – For major corruption issues reported. Once scanning mode is selected, go to the option to Add File to initiate OST file scan. Attachment View: Email attachments will be previewed with proper item display. Step 7 Switch view of data as horizontal view or vertical view. 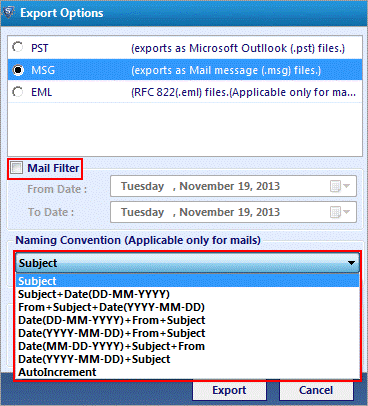 Mail Filter: Activated to customize the export process with specific dates suggested. Split PST: Split PST file into numerous files if the file size is found huge. Mail Filter: Decide date filter to customize OST file conversion. Naming Convention: Name the file before saving for easy management of data. 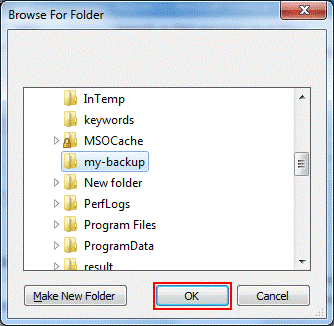 Step 11 Browse location to save the exported OST file data in PST, EML or MSG format. Step 12 Click OK once location to save export file type is confirmed. 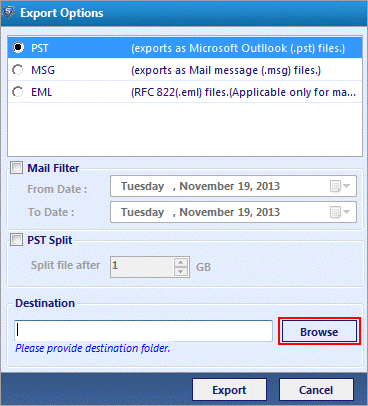 Step 13 Click Export option to start OST to PST, MSG or EML export process. How to Import PST File to Outlook (2013/2010/2007/2003/2002/2000/97) Versions? 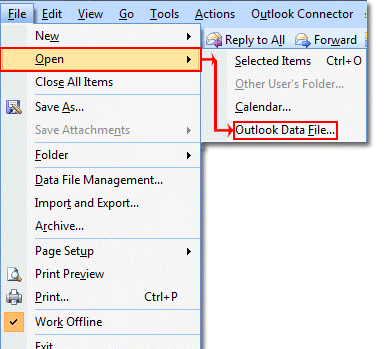 Now view PST file in the Outlook profile without any trouble. Conclusion: SysTools OST to PST Converter software can help to recover OST file without Exchange server connection even when the worst corruption issues are reported with it. Download the software and run it to export OST file into healthy PST, EML or MSG format. Free demo of the software is free to download and works exactly like full version till the step to show the preview of the OST file content. To export and save OST file data, purchase full version of the software for an investment of just $99.